Design-build was chosen as this project was the largest public procurement for the City of San Antonio, which required working in and around an operational building integral to the City’s hospitality business, along with the need to design and build the project in a tight schedule. 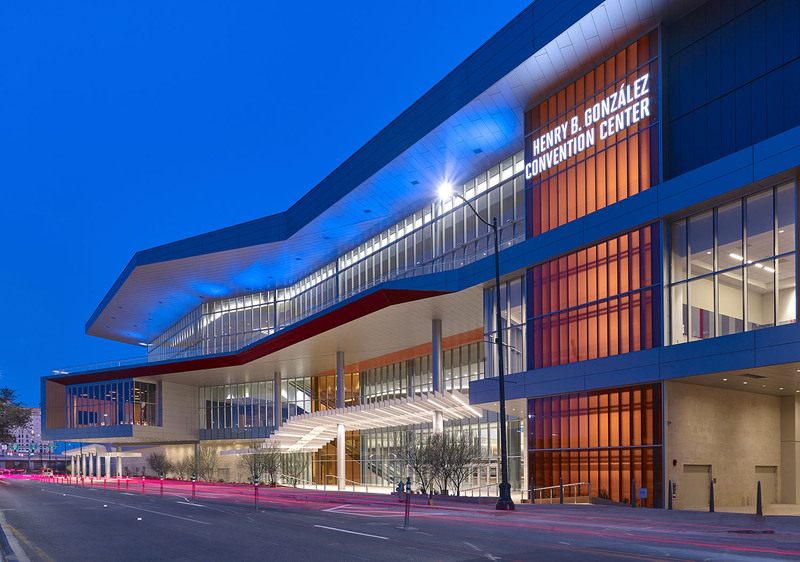 The $325 million Henry B. Gonzalez Convention Center Expansion comprised an addition of 726,000 square feet, including exhibit halls, a multi-purpose hall, meeting rooms, a 50,000-square-foot ballroom, loading docks, a kitchen expansion, new administrative offices and support space. The primary goals of the project were to create contiguous space; gain the ability to host multiple shows simultaneously and replace the antiquated west building to allow for expansion of Hemisfair Park — all while maintaining continuous operations.